Lookie here, cross-hatching (with the hand quilted look) is vogue! Of course, cross-hatching is not new to us quilters. 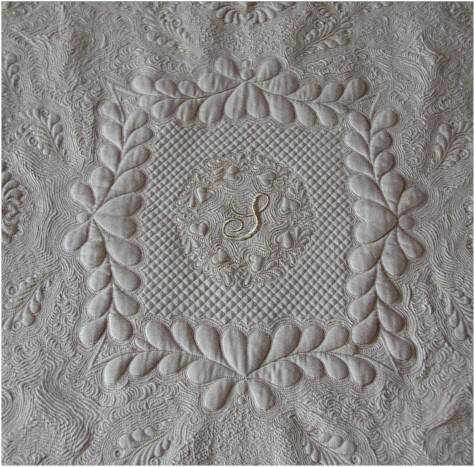 Many traditional and antique quilts were quilted cross-hatch. Though simple, cross-hatching gives the look of order and textured elegance that withstands the test of time. 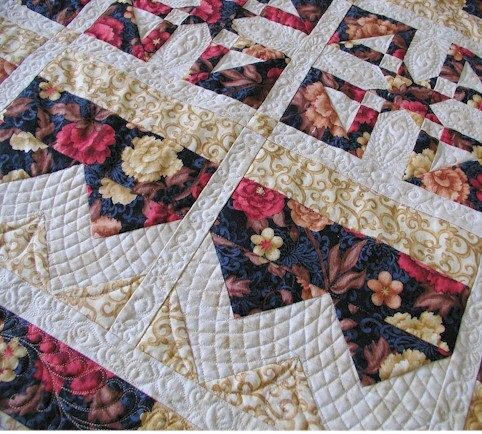 Following you see cross-hatching on my own quilts, quilted anywhere between 1/4″ to 2″ apart, straight and curved. 1. Make sure the lines are marked as accurately as possible for maximum visual effect. 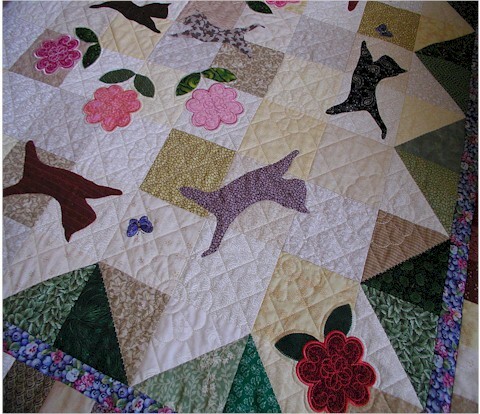 This it the part I tend to not do a good job because all I want to do is get to the quilting part. But the time invested in marking is always time well spent. 2. The effects of cross-hatching 1/4″ and 1″ are vastly different. 3. I love to use wool/silk batting for dense cross-hatching because the individual diamonds just POP! 4. For cross-hatching far apart, I think I still prefer to use a cotton blend (80/20) because cross-hatching on silk/wool batting looks a bit “loose” and unkempt to me. Don’t get me wrong, the cross-hatching on silk/wool batting doesn’t look bad at all. It is just a matter of personal preference. 5. Cross-hatching over applique pieces gives a rather soothing and blended look. I like it. 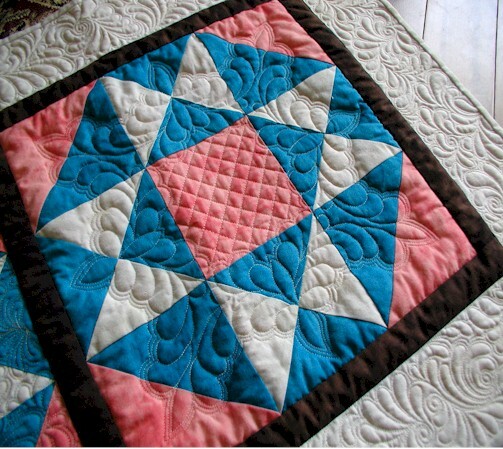 Don’t get me started on cross-hatching on a whole cloth quilt – the effect is simply divine! 6. 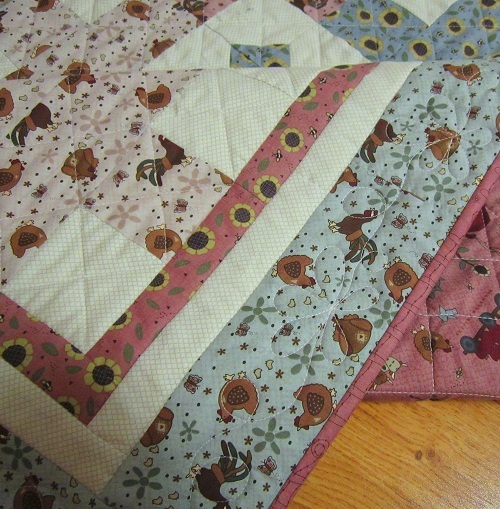 I can quilt straight lines (almost!) free-motion, but I still like to use my walking foot to quilt straight lines because I demand the look of uniformity when I quilt straight lines. That makes the needle down function come in really handy! 7. When I quilt cross-hatches, I try to pin my quilt as close as possible in the basting process. Free-motion quilting is great to quilt down any slack on the quilt top if a quilt isn’t properly basted, but not so when I quilt straight lines with my walking foot. I also starch press my quilt top pretty well before I baste when I know I will be doing cross-hatching. 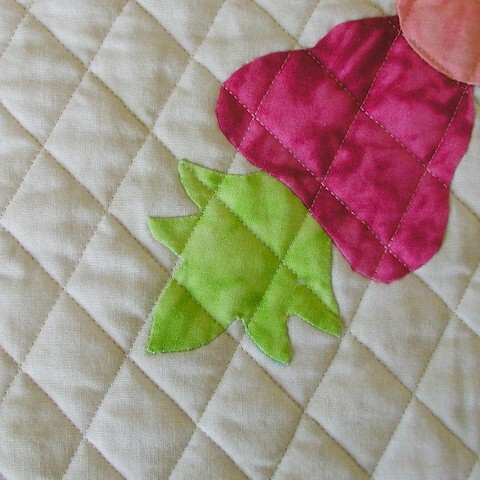 Anyway, those are a few tips and tricks in my quilting toolbox concerning cross-hatching. I would love to hear your additional tips for cross-hatching! Thanks for stopping by. I hope you are enjoying your week.